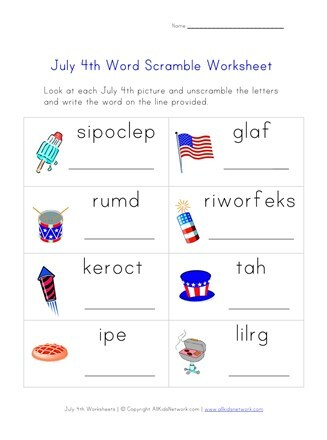 Check out this printable 4th of July word scramble worksheet for kids. 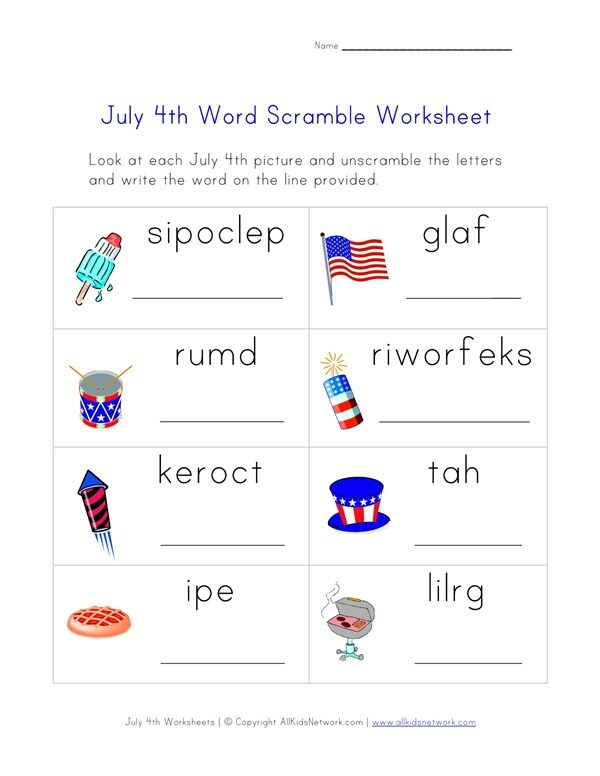 Kids will enjoy the challenge of unscrambling each of the 4th of July words on this printable worksheet. Each of the scrambled 4th of July words has a picture to go with it which will help children figure it out. We hope you enjoy this printable 4th of July worksheet and make sure to check out the rest of our 4th of July worksheets.